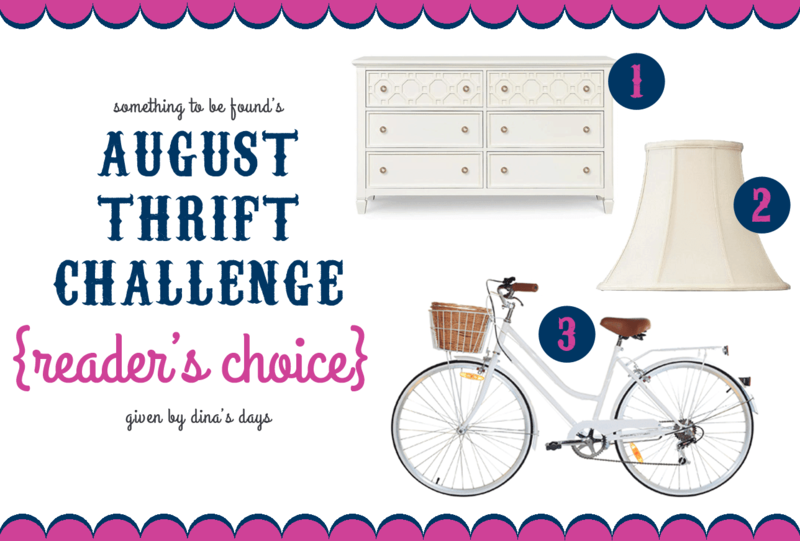 August Thrift Challenge: Reader's Choice!! 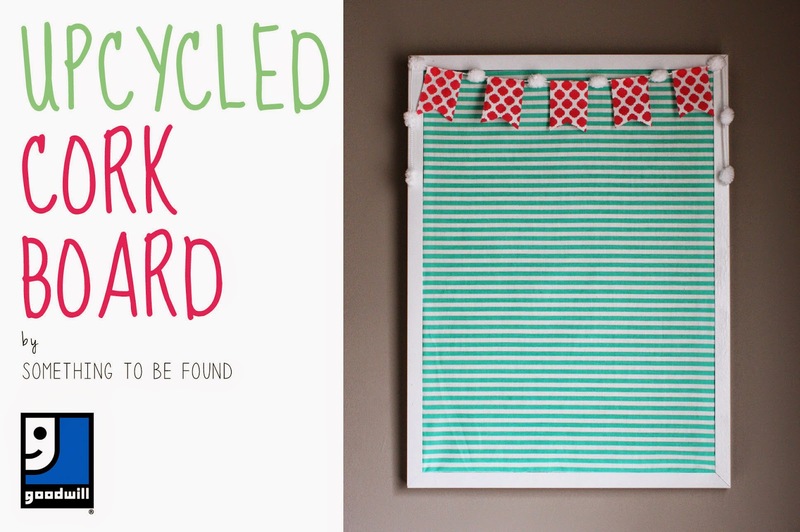 This month YOU get to choose what Dina and I attempt for our monthly thrift challenge projects! For me, Dina narrowed it down to three options and you get to vote on which one you'd like to see me tackle! 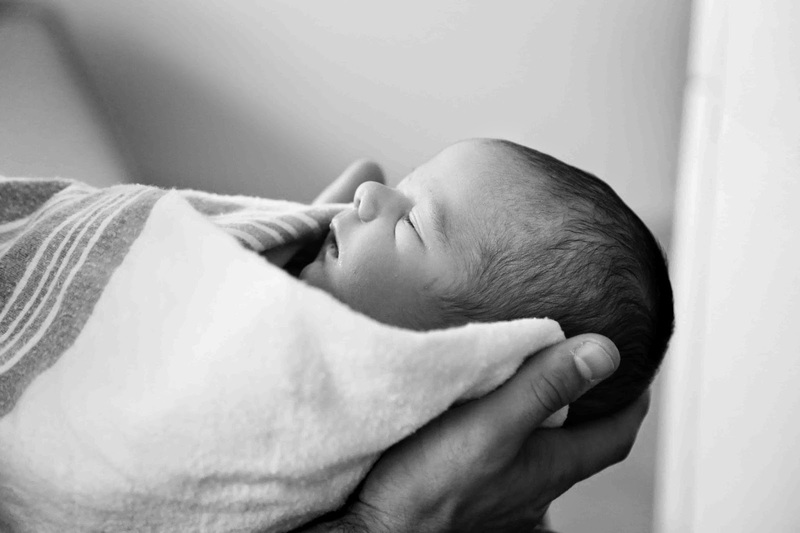 You may have seen on Instagram that our newest addition arrived last week! I knew it might be hard for me to get out to the thrift stores and estate sales this month, so we came up with some project options that use items I've already thrifted but haven't done anything with... yet! Voting ends on Monday night (8/4) (voting is now closed). Which Project Should I Attempt? Dina will once again be tackling a fashion challenge. She has four options, so head over to Dina's Days and vote (voting is now closed) for the outfit you'd like to see her recreate! We'll reveal our project results at the end of the month. Stay tuned!! 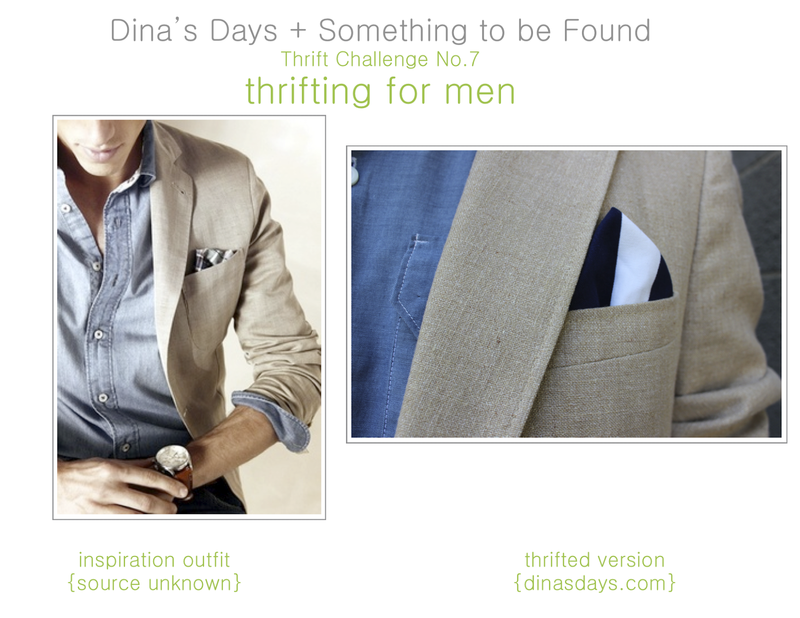 This month Dina and I got our men involved in the Thrift Challenge by trying to recreate some fashionable male outfits. 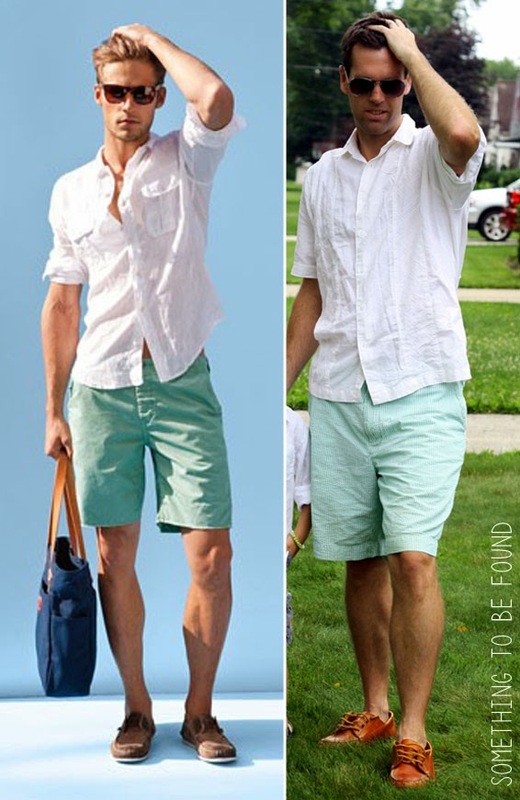 She challenged me with this casual beachy look (source unknown) for Dan, and this preppy hip look worn by Alonso Mateo. Luisa Fernanda Espinosa, Alonso's mom, is a fashion stylist. Check out her Instagram account for loads more fashionable pics of Alonso! I nearly peed my pants when Dan actually went into full-on model mode and brushed his fingers through his hair. He even seemed slightly irritated that I didn't thrift a man-bag for him. So high maintenance! For the boy's outfit, I had originally envisioned it for N because C can be pretty shy when it comes to this kind of stuff. But when he saw Dan doing it, he was ALL, ABOUT. IT!! He blew us away!! Now, let's head over to Dina's Days to see how she and her boyfriend Dan pulled together this sophisticated, business casual look I challenged them with! So if you don’t want to get that rushed feeling, then I encourage you to just skip this next sentence. But if you’re a rebel and still reading anyway, don’t blame me if this ruins your mood. 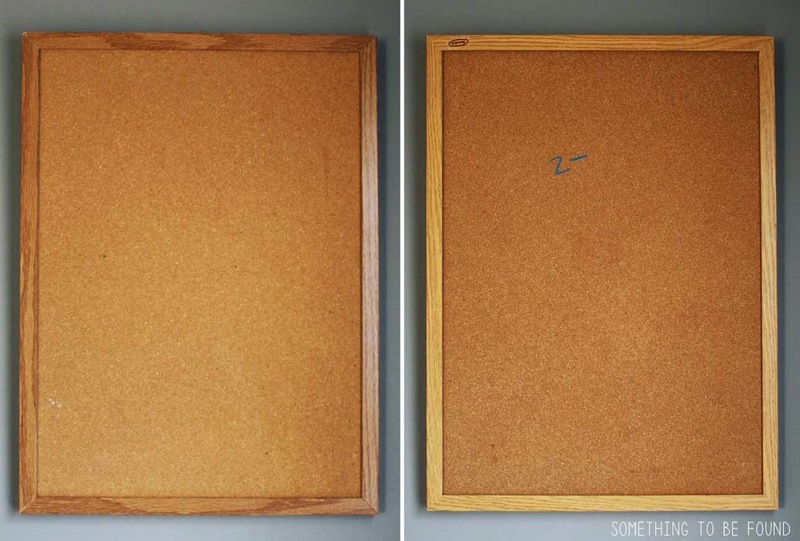 I need these cork boards to prepare for BACK. TO. SCHOOL. I know summer is not even near being over, but my oldest is starting kindergarten in the Fall and I already have a huge stack of paperwork piling up on our kitchen table. Gym uniform pre-order forms. Athletic program sign-up forms. Tuition payments. Vaccination requirements. And probably 10 other forms I haven’t even read yet. I need to get this stuff OUT of the pile, and hung on the wall where I will be forced to see it everyday! So, I am turning to cork boards. I found two at Goodwill Twinsburg for just $2 each. I used the 20% off coupon that you get every time you make a donation, so the actual cost was just $1.60 each. 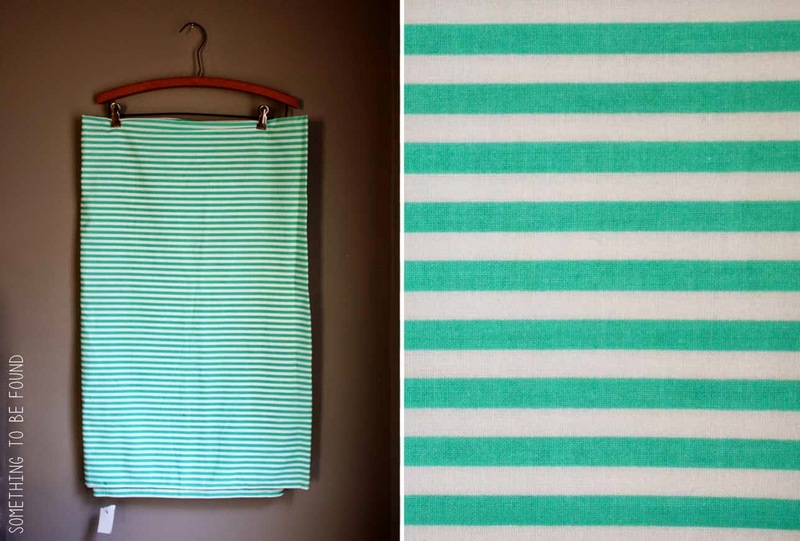 I planned to cover them in fabric and excitedly found this huge mint striped fabric remnant for just $1.60. 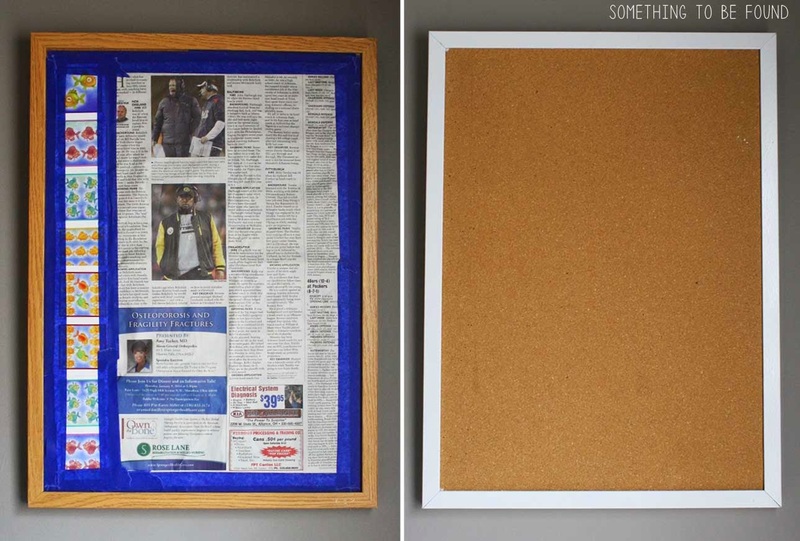 To make the frame of the corkboard white, I taped off the inside with newspaper then spray painted the frame with Rustoleum Primer and Rustoleum 2x Ultra Cover in white gloss. 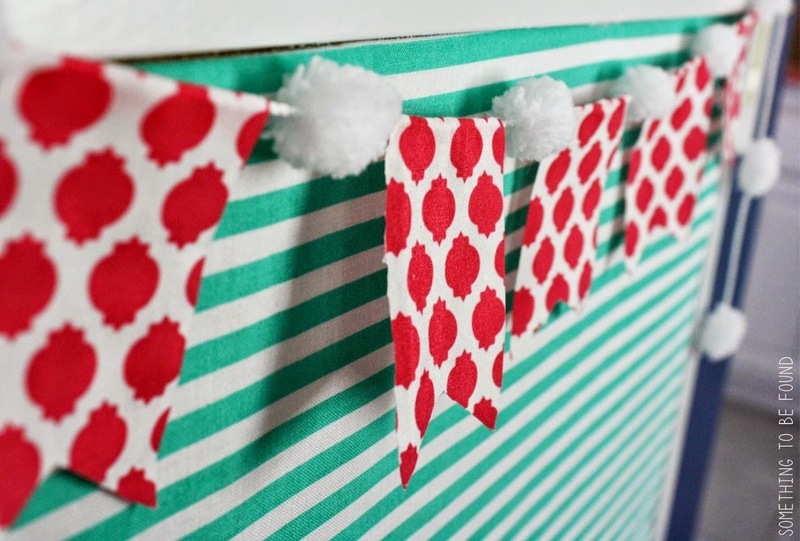 You may not need to cover the cork board with tape and newspaper since it will be covered with fabric, but because my fabric had white stripes I was worried about the paint showing through. Next I laid the cork board on top of the fabric and traced around the frame. 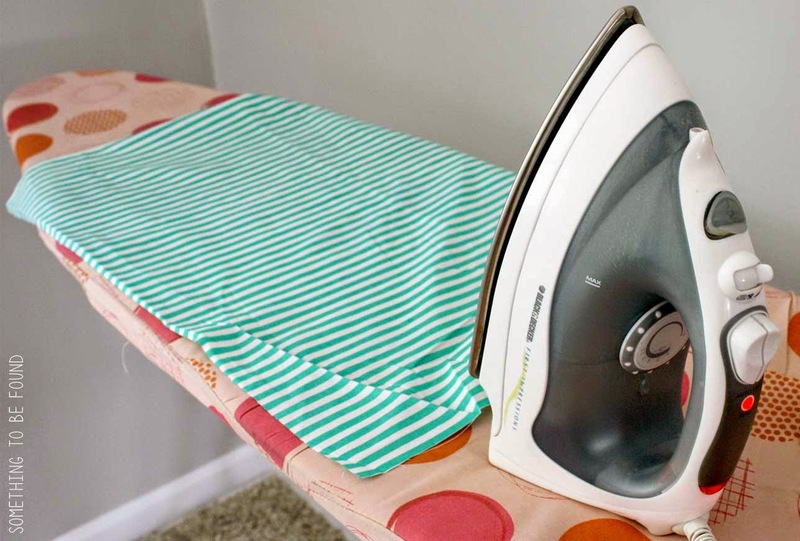 This would leave me with about an inch of extra fabric that I could use to fold inward, making a nice clean edge (example shown a few photos down). 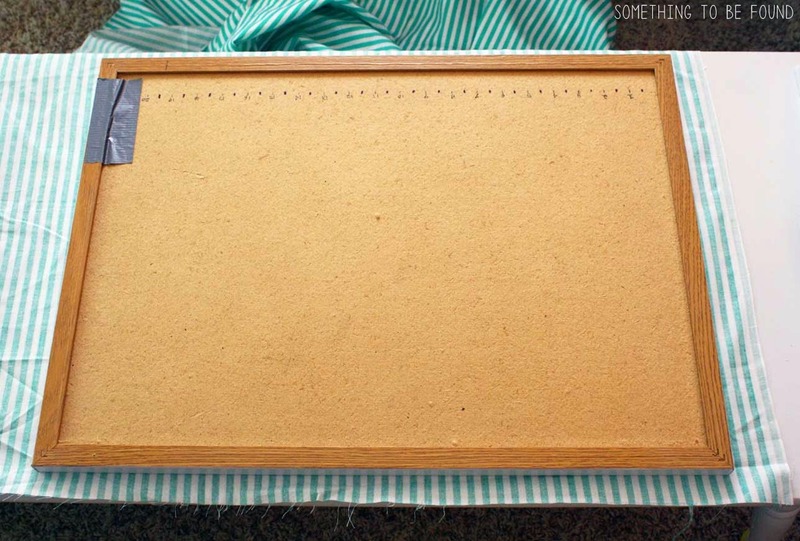 Before covering the cork board with the fabric, be sure to iron out any creases and wrinkles. 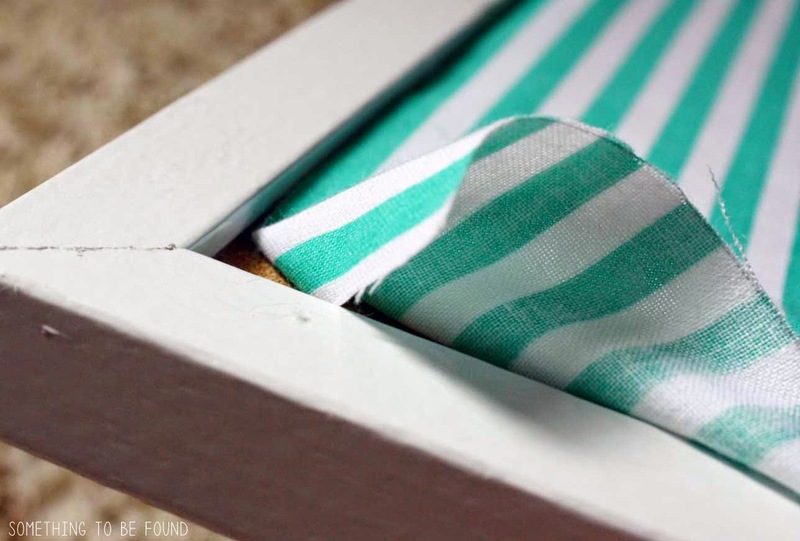 Now that the fabric is nice and smooth, place it perfectly on top of the corkboard and start folding your edges inward to make a nice clean seam. Do little sections at a time and hot glue in place. I did all the sides first and then saved the corners for last. After that, the corkboard is complete!! 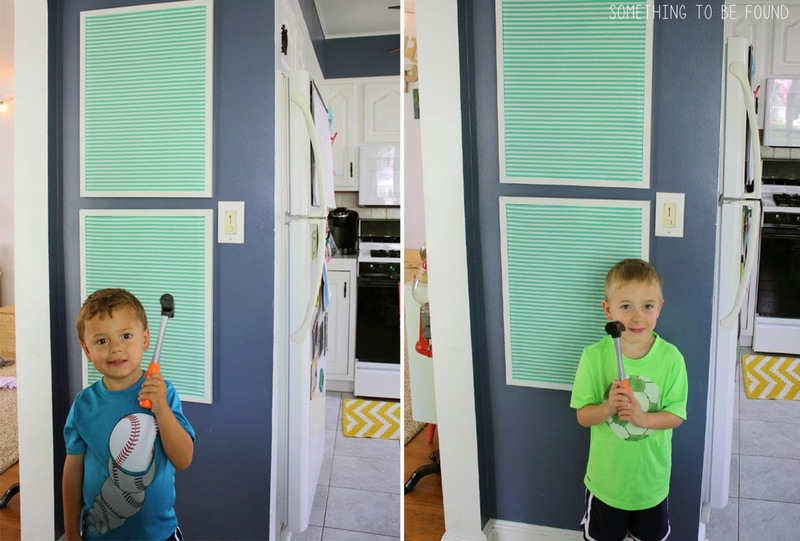 I hung them up in our kitchen and these two saw the camera out and just had to pose for a shot with their toy hammer. After the boards were hung I felt like they needed a little more flair so I made some quick bunting with scrap fabric I had on hand. So really this just took 3-4 simple steps. 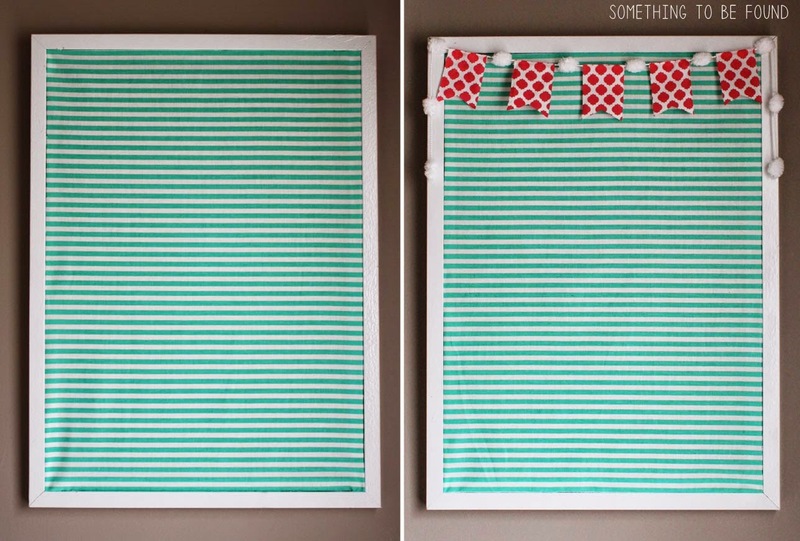 4 (optional) – Add bunting if you so choose. Here they are. 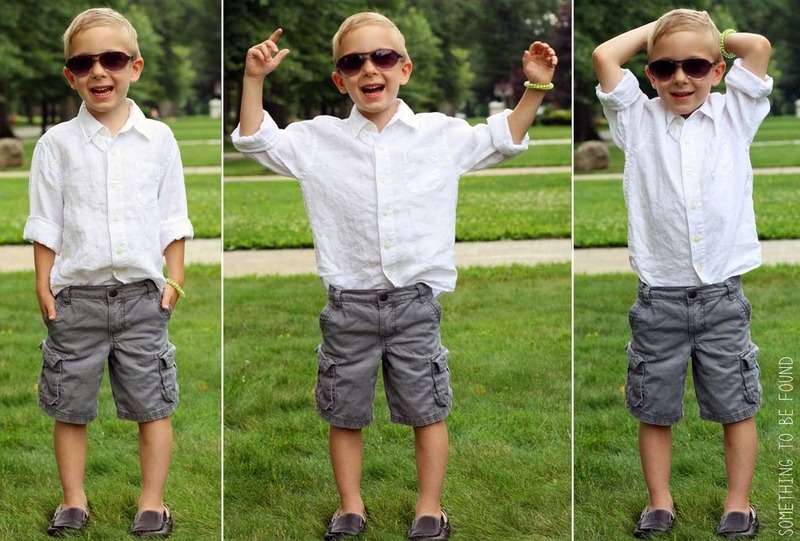 Totally and completely staged for this photo. They will soon be covered with pages and pages of kindergarten paperwork. But for now, let’s just enjoy the simplicity. The slow, easy days of summer. The lack of paperwork and crazy schedules. And let’s agree not to mention those three words for at least another month! Last week I wrote a little bit about Minimalism -- not the art or music type of minimalism, but the lifestyle. The general goal of a Minimalist is to rid their life of excess and clutter so that they can lead a less stressful, more meaningful life. Dan has been embracing this concept for the past year by clearing out his closet, drawers, bathroom cabinets, car trunk/glove box/console, and even our kid's bedroom and toy boxes. I am envious of his results. 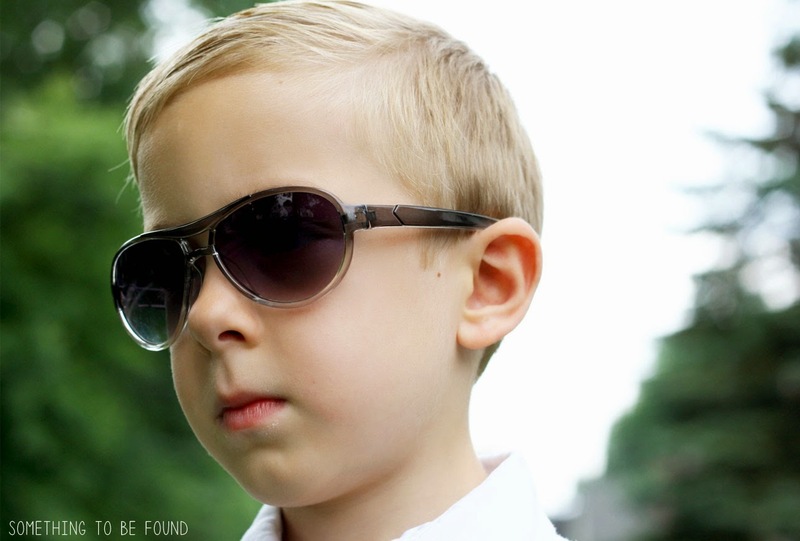 My closet is packed like a thrift store while his closet looks like a New York city boutique. It takes me 20 minutes to decide what I want to wear because I have too many choices, a majority of which I don't even like and haven't worn in years. Dan on the other hand is ready in 2 minutes because he has just a few options, all of which he likes. 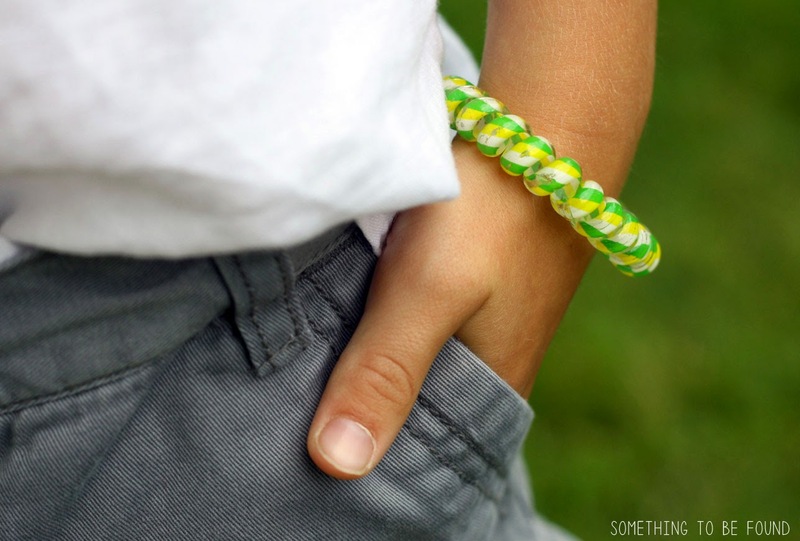 He has learned to separate feelings and emotions from items and simply ask himself "Do I wear this? Do I use this? Do I need this?" If the answer is no, it's immediately placed in our Goodwill donation pile. I on the other hand attach memories and emotions to items making it really hard to part with them. No we can't get rid of that 25 cent wind-up crab that has been buried at the bottom of the toy box for two years. We bought that for C in Cape Cod and he loved it! No we can't get rid of ALL those boxes of my old graphic design projects from school and work. What if I want to look at those in ten years and reminisce? ...Until I read Living Simple, Free & Happy: How to Simplify, Declutter Your Home, and Reduce Stress, Debt and Waste, by Cristin Frank. I met Cristin online a few months ago when she submitted a chair to my Chair Upcycle Thrift Challenge. 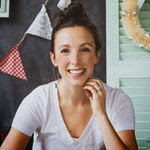 I hopped over to her blog, Eve of Reduction, to learn a little bit more about her and was intrigued by her profile: Eve of Reduction is a sustainable lifestyle movement to reduce debt, waste, clutter and stress by being frugal, crafty and eco-friendly. I exchanged a few emails with her and found out that she had written a book! She kindly shared a copy with me which I read immediately upon receiving. In addition to tips on decluttering your home, her book covers other areas of living simply like financial discipline, reducing the clutter in your schedule, buying used instead of new, repairing instead of replacing, teaching yourself to be handy, and DIY projects galore! Dan and I are pretty terrible at maintenance. In fact, for the most part, we'd say we hate it. Knowing this (and accepting this) about ourselves is one of the main reasons we continue living in a small 1200 sq. ft. bungalow with two adults and two (soon to be three) kids. 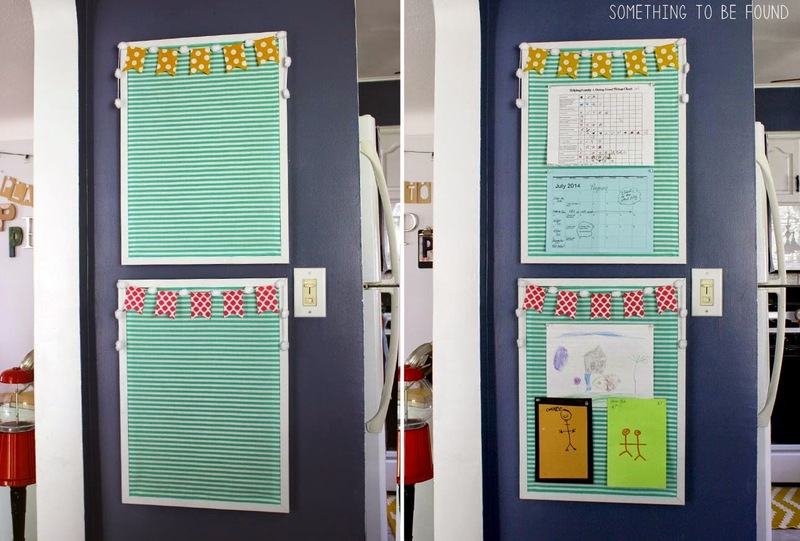 The less space we have, the more strict we are about what things we purchase for ourselves, our home and our kids, and the less clutter and maintenance we take on. This can get a little tricky for me though because my favorite hobby is buying secondhand, upcycling and reselling at the flea market. This means I bring a lot of things in to our home that need to be stored, fixed, painted, dusted, cleaned and maintained until they are ready to be transported and sold at the flea. When I started out a few years ago, I filled our entire garage plus the unfinished half of our basement with SO. MUCH. STUFF. I thrifted and trash picked anything that had potential for resale, even things that were broken, in need of re-upholstering, or in desperate need of cleaning. For someone who hates maintenance, this was a terrible idea. 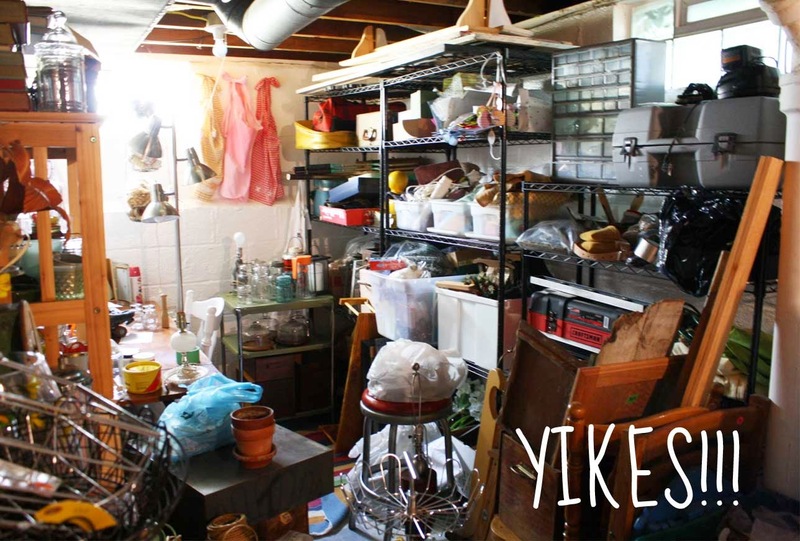 Every time I looked in our garage or basement (for over a year!) I felt anxiety and stress about all that needed to be done to fix up this stuff I had accumulated. This was just one half of our unfinished basement. The other half was filled with stuff and our entire garage was filled with big pieces of furniture! Earlier this Spring I finally got rid of most of that STUFF thanks to some kind encouragement from Dan and his pretty firm request that he be able to park his car inside the garage. I kept just the pieces that were in good shape and could either be resold or used in our house, which probably only made up about 20% of all that STUFF! Now when I am out thrifting or trash picking, I am very particular about what I buy. It has to be in good shape (very little to no maintenance required), it has to be small and take up little space, and it has to be my style -- something I'd put in our own house if it didn't re-sell. Sticking to these principles has brought sanity to my passion for buying secondhand, and eliminated clutter-causing-stress in our home. The less you have the easier it is to care for and use. You also get more return on your investment because you get more use out of the item. YES! This is so true. 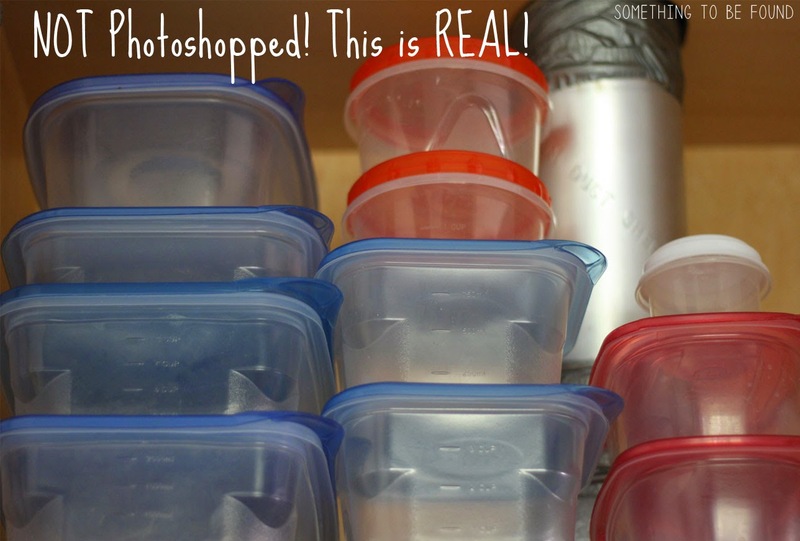 Cristin uses tupperware as an example saying that "if you have a limited number of pieces it will be easy to put them away and easy to find matching lids and containers when you need them." 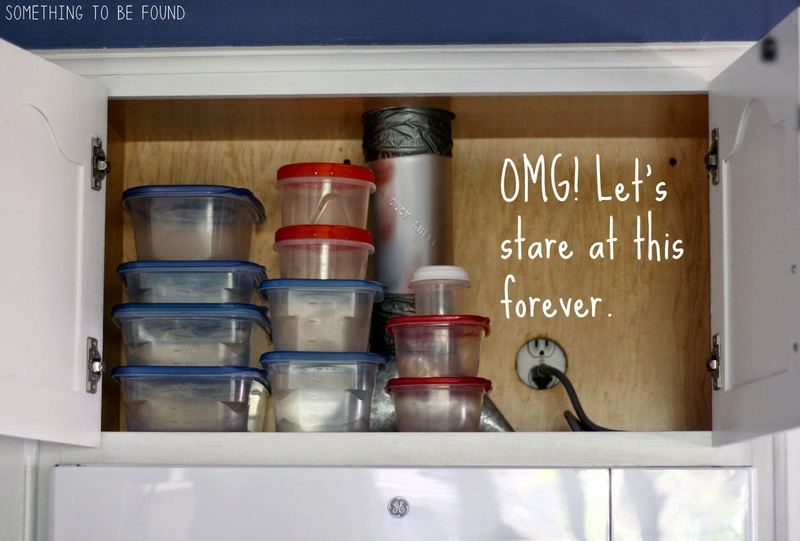 After reading this, I IMMEDIATELY cleaned out our stupid, stupid tupperware cabinet that explodes every time I open the cabinet door. Check out these before and after results!! I removed all emotion and memories from these pieces of jewelry and just PURGED! If I hadn't worn it in the last 6 months, it was gone-zo! Look at this!!! Less, less, less!! 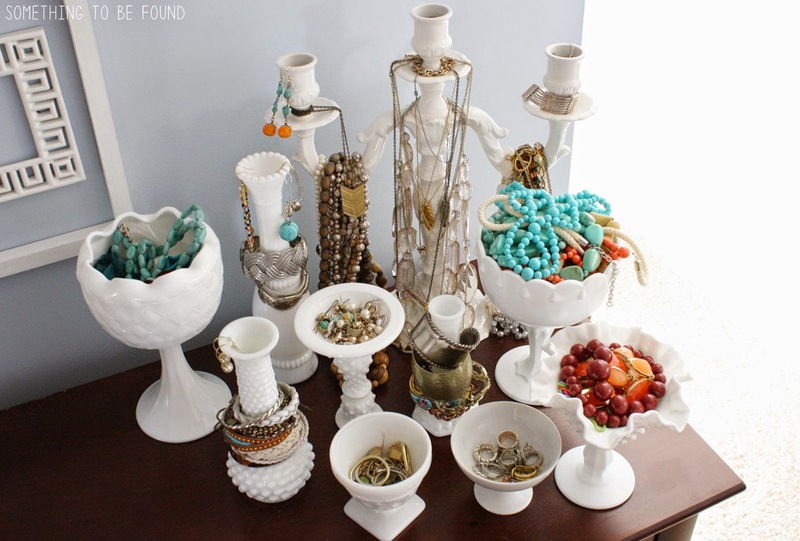 Now I don't need to waste time digging through a bowl of 60 earrings to find my favorite pairs. 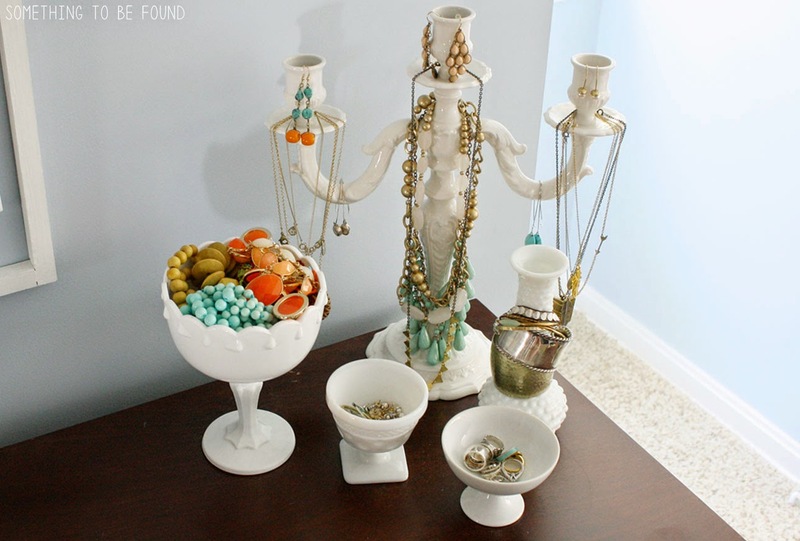 And I can see all my necklaces at a quick glance for faster decision making. I can feel the stress melting away! Some people believe that education is the single greatest way to get ahead in this world; others would argue experience is more important. I say it's both. We must always be reaching to learn new principles and skills, but it isn't until we put them into practice that the lesson is complete... When something breaks or becomes outdated, we find ourselves saying "Really, a new one only costs...". It's become so easy to replace our things... [But instead we should] salvage our stuff by cleaning and repairing it [ourselves]!... The more we learn to do things for ourselves, the more money we save, the better our homes look, and the more independent we become. I mentioned that we're terrible at maintenance so it's probably no surprise that we're also terrible at using tools. We don't really venture outside scissors, hot glue, hammers and screwdrivers. 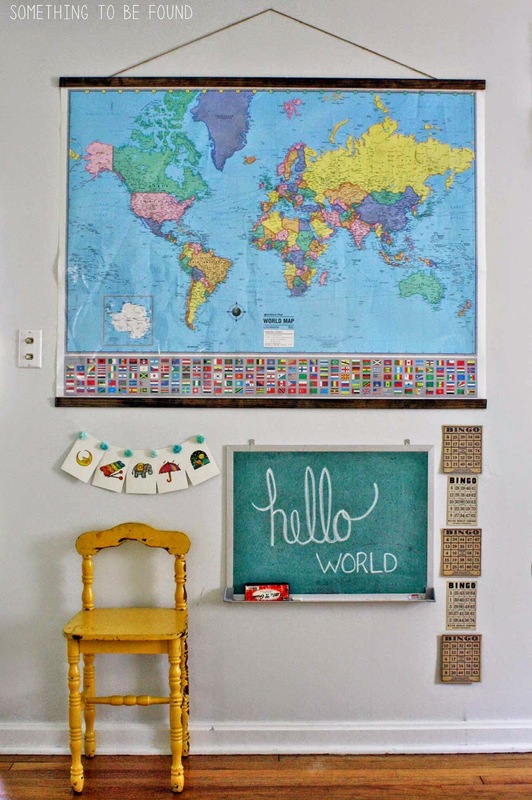 We were recently redecorating our living room and had a blank wall that would be perfect for a large map of the world. We hopped on the internet to buy a fancy one from Ikea for $129, but then remembered we had a not-so-fancy one rolled up in our closet that Dan had gotten free from work. We decided to save the money, use the map we already had, and try ourselves to upgrade it's look. 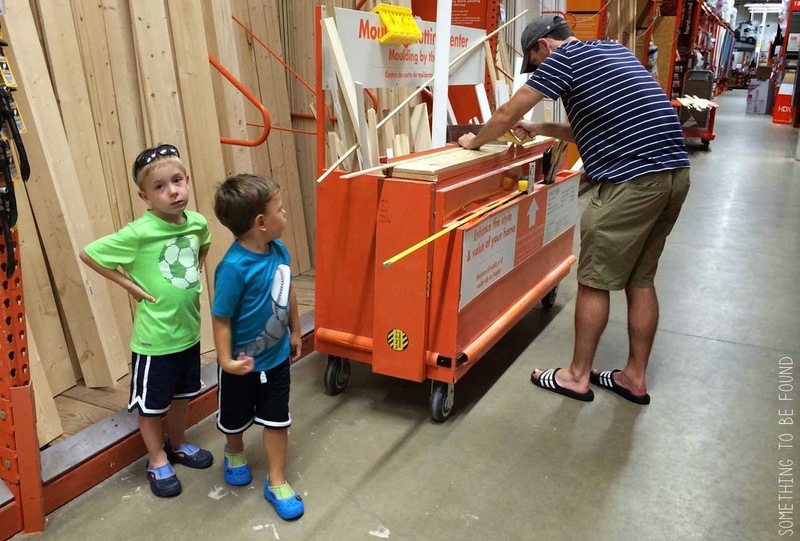 This meant trying a few things we had never done before... like sawing wood at Home Depot! If there was anyone watching us on a security camera, they probably gathered their co-workers around to watch us two brainiacs try to saw this soft, thin piece of wood! It took us about 10 minutes, and multiple saws to make two small cuts. Like we literally switched out the saws four times, cursing at each one saying how dull and terrible it was. But, we did it! We sawed the wood, stained it a dark brown (my first time using wood stain! 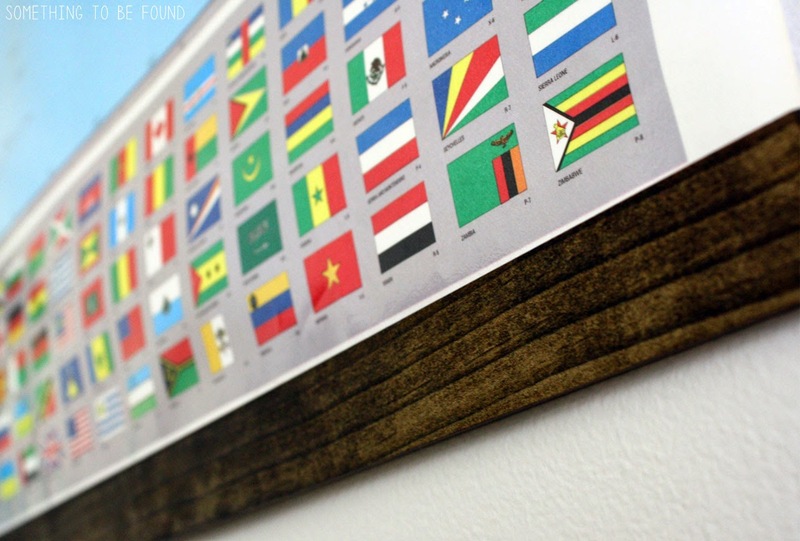 ), hot glued it to our big free map and now it looks so fancy (...you already know...I'm in the fast lane...)! We are pretty darn proud of our accomplishment. And you better believe we will OWN that saw next time we need to cut some wood! Thank you to Cristin Frank for sharing some new insights and tips on minimizing our clutter, learning new skills, and living simple! Check out her blog and book if you are interested in learning more. 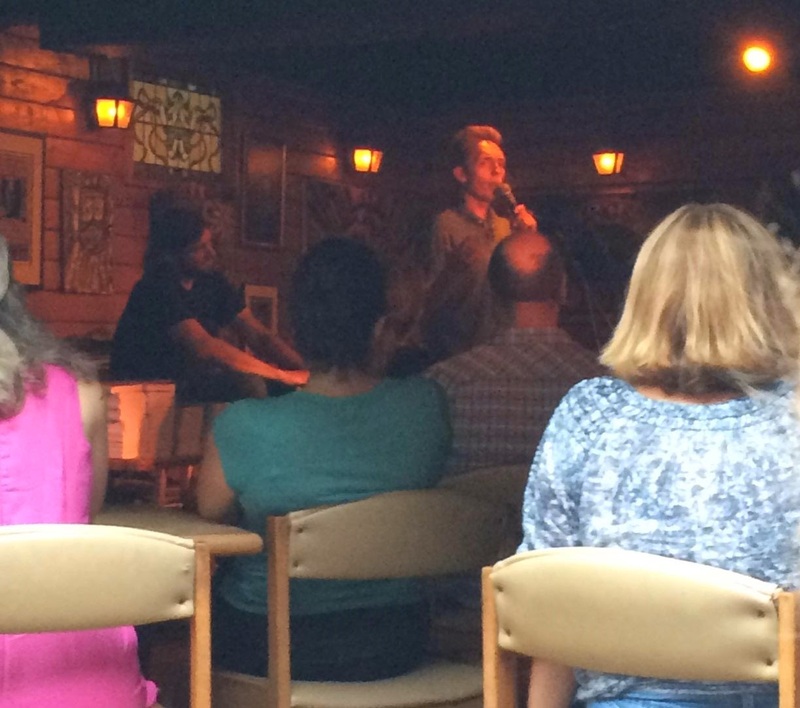 Last night Dan and I went to The Barking Spider to hear writers/speakers Joshua Fields Millburn and Ryan Nicodemus, the two guys behind the popular site The Minimalists. Joshua, the one speaking above, is often told he looks like Christopher Walken. I agree, but I also think there's a dash of Davie Bowie and even a sprinkle of William Fichtner. Am I right? 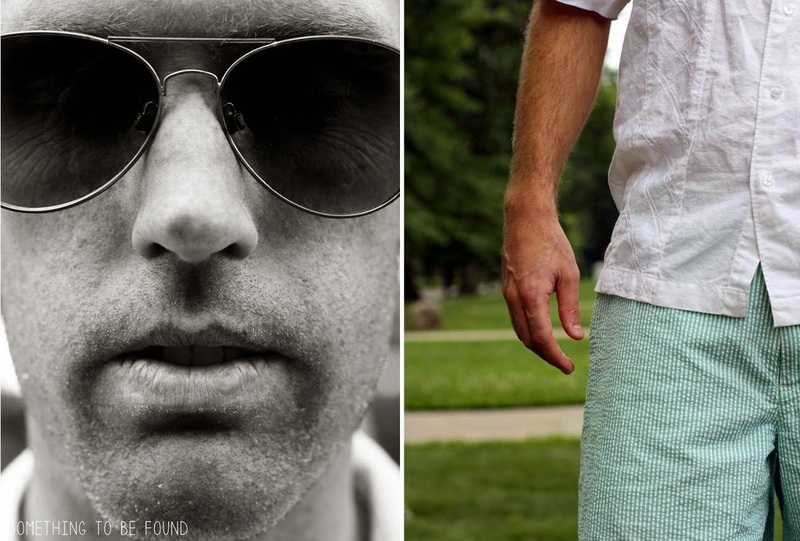 There are many flavors of minimalism: a 20-year-old single guy’s minimalist lifestyle looks different from a 45-year-old mother’s minimalist life. 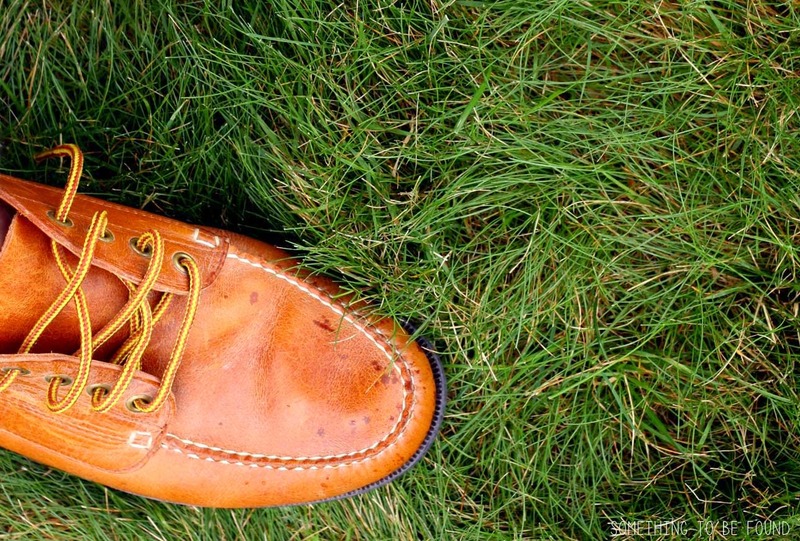 Even though everyone embraces minimalism differently, each path leads to the same place: a life with more time, more money, and more freedom to live a more meaningful life. Getting started is as simple as asking yourself one question: How might your life be better if you owned fewer material possessions? Dan has been embracing this minimalist idea for the past few years and he's really really good at getting rid of stuff he doesn't need. 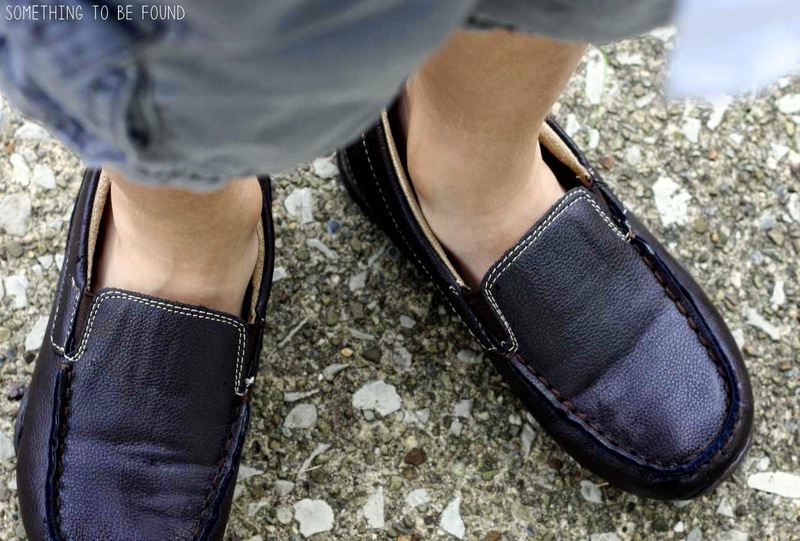 His closet, his drawers, his car, his bedside table -- ALL clutter free! He even willingly (and somewhat excitedly) cleans out the kid's toy bins every few months! I on the other hand could still use some work! I never have enough hangers in my closet because they're all being used by clothes I haven't worn in three years! I don't even know what's in my fully stocked, exploding dresser drawers because I only ever take out the stuff that's neatly folded on top. 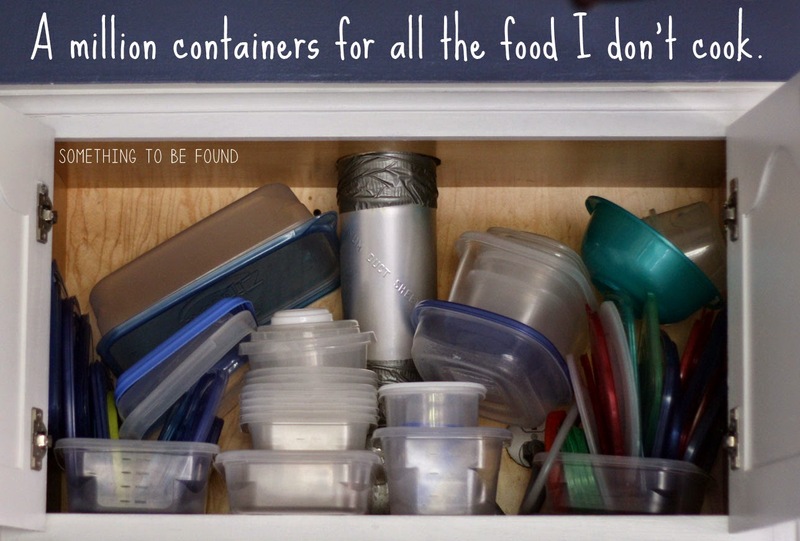 I have an entire kitchen cabinet dedicated to 40+ reusable plastic containers and lids, when all I really need is half a shelf for the five containers we actually use. And my bathroom cabinet is FULL of hair products, lotions, hairbands, makeup, brushes, and travel-sized toiletries that haven't traveled outside of that cabinet for over 10 years! I could go on... but I won't. This week my goal is to tackle some of this clutter and see how my life might be better if I owned fewer material possessions. I recently finished reading reading a book by Cristin Frank called Living Simple, Free & Happy. Like The Minimalists, she encourages decluttering your home to reduce stress, debt and waste. Later this week I'll share some insights from her book along with the results of my decluttering rampage! Stay tuned! 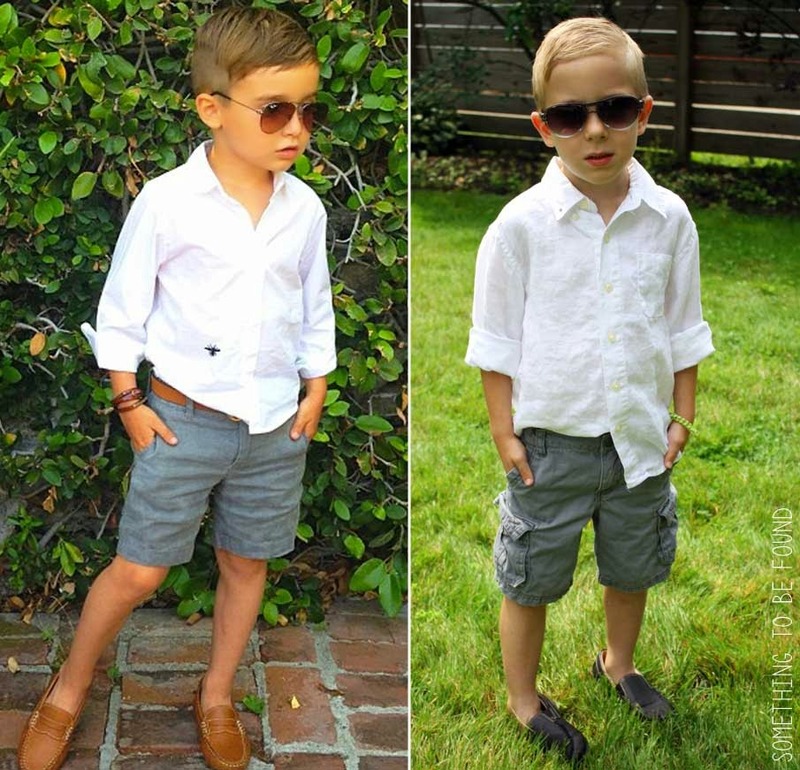 Photo sources | Boy - Alonso Mateo (Luisa Fernanda Espinosa), Guy - Source Unknown. 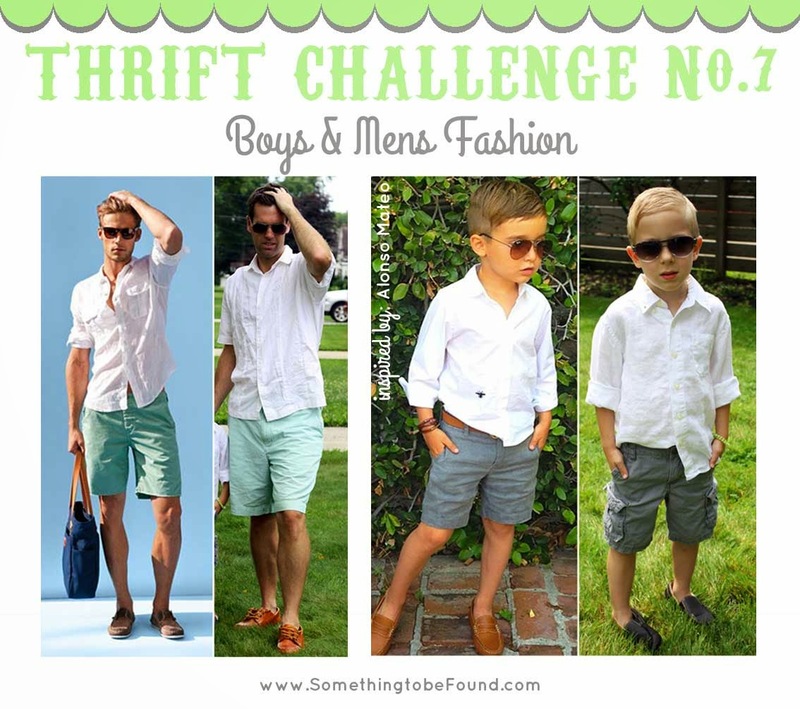 It's about time we got the men in our lives involved in this thrifting challenge! 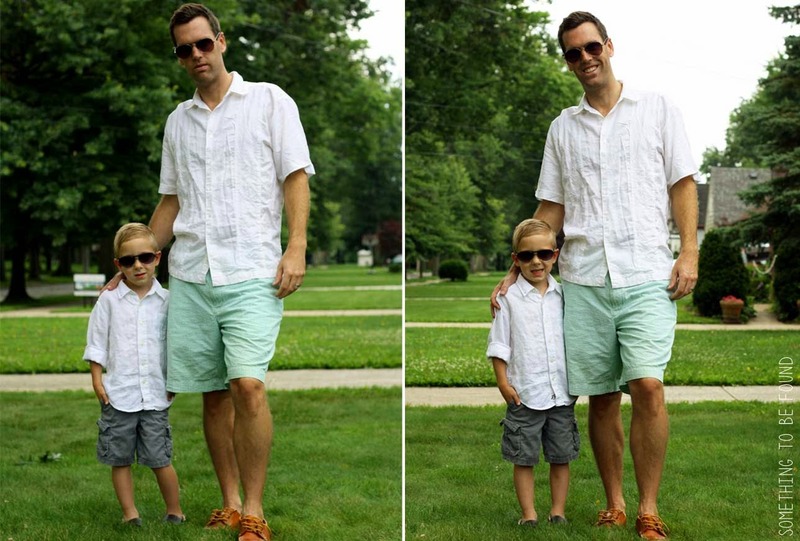 Dina challenged us with these two outfits. You better believe I will try my best to get Dan to pose with a man bag while he combs his fingers through his hair! I challenged Dina and her boyfriend to re-create a sophisticated, business-casual look, Check it out over at Dina's Days. We'll reveal our results at the end of the month! 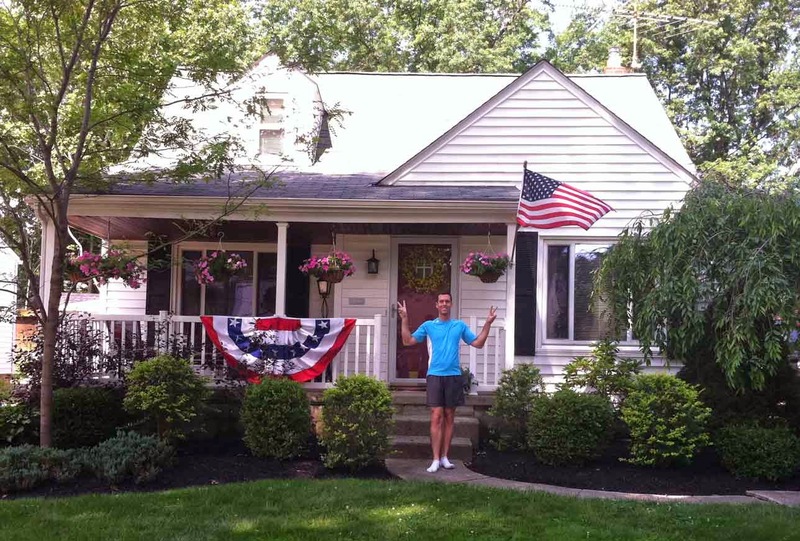 Want to catch up on results from our past Thrift Challenges? Here ya go!